It is amazing how many times I hear of someone’s lack of success for certain crops. When you “put all your eggs in one basket” and only plant one time, that is often the basis for disappointment. If you do several small plantings a week to 10 days apart you have a much better chance for meeting your expectations. 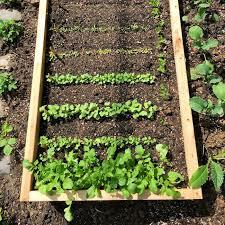 Succession planting will fulfill your idea of a good garden!! There are several strategies that maximize your efforts. You will be astounded when you see how much produce you can get from small areas. Two or more crops in succession: After one crop is harvested, another is planted in the same space. The length of the growing season, climate, and crop selection are important issues. For example, a cool season spring crop (such as Irish potatoes) could be followed by a heat-loving summer crop (bush beans). The beans require less fertilizer and supply free nitrogen to the soil. The bush beans are not bothered by the potential diseases of the potatoes. Likewise, garden peas ( a legume) could be planted in cooler weather, followed by tomatoes or squash. Same crop, successive plantings: Several smaller plantings are made at timed intervals, rather than all at once. The plants mature at different dates, providing a continuous harvest over an extended period. 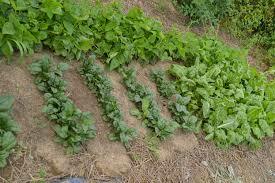 Lettuce, spinach and other greens are common crops for this method. The beauty of this approach eliminates the overwhelming effect of too much produce at one time. Looseleaf, Butterhead, Cos (romaine), Buttercrunch, Batavian, Heading and Chinese. 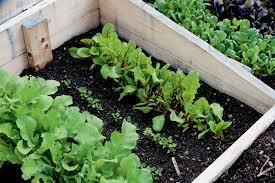 Some of the Looseleaf and Romaine types may be grown in warmer/hotter temperatures. Same crop, different dates of maturity: Planting different varieties (for example broccoli or tomato) that come to harvest at successively later dates. Calabrese Green Sprouting broccoli matures 10 – 14 days earlier than Waltham 29 broccoli. Stupice tomato starts to fruit in 55 days, Roma tomato 70 days and Black Krim tomato 85 days. Plus Stupice and Roma are much smaller plants which can be planted in front of the taller Black Krim. Using one or all of these methods will give you a greater chance for success in your gardening endeavors. Enjoy your new opportunities! Next > My Volunteer Butternut Squash Is not Producing! Why?? Another great post. Thanks for sharing! Thank you for your continued support of PapasGardens. I enjoy sharing my gardening with like minded gardeners.